Orders piling up? Materials out of stock? Call Aero. Fulfillment services are our bread and butter. Whatever your fulfillment needs, we’ve got you covered. Here we receive, date, and batch your orders. Order processing and inventory management can be automated, on the computer, or performed manually – it’s your choice. 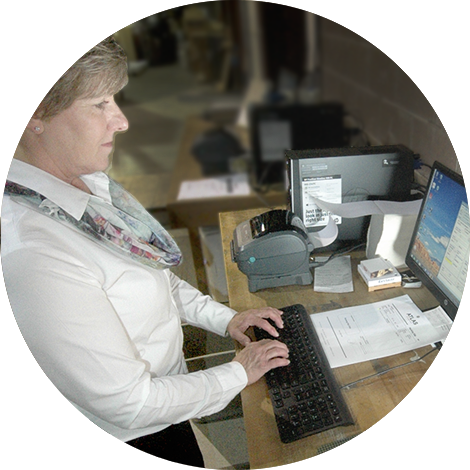 We also pick and pack orders, and we perform all miscellaneous clerical services required. And keep in mind that Aero specializes in international distribution. We know just what it takes to get your order there – and get it right – with the best overseas shipping rates. Have lots of pages, catalogs, or binders to send? Aero can poly-bag individual or multiple pieces of various mil weights – then seal the bags. We also shrink-wrap when needed.